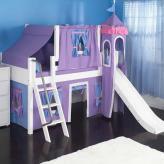 W-11062A - Doll House - My Sweet Home - Have your dolls feast their eyes upon this mansion built for a princess! 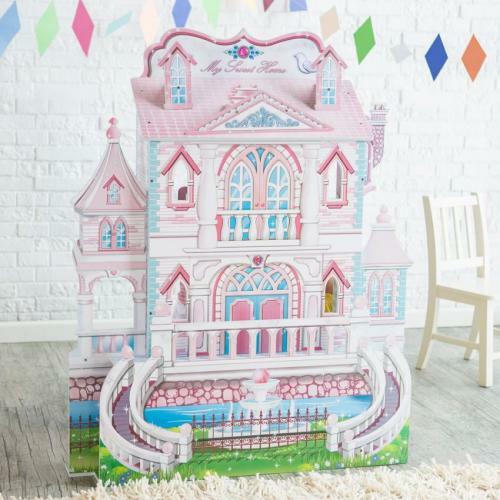 Cute and chic design, crosses with practical and a built to last exterior, this doll house is a beauty on the inside as well as the outside. Gorgeous twin colonial peaks border a wraparound deck to make for a down south plantation kind of look. Two bridges cross over a sweet stream that flows freely behind the property. 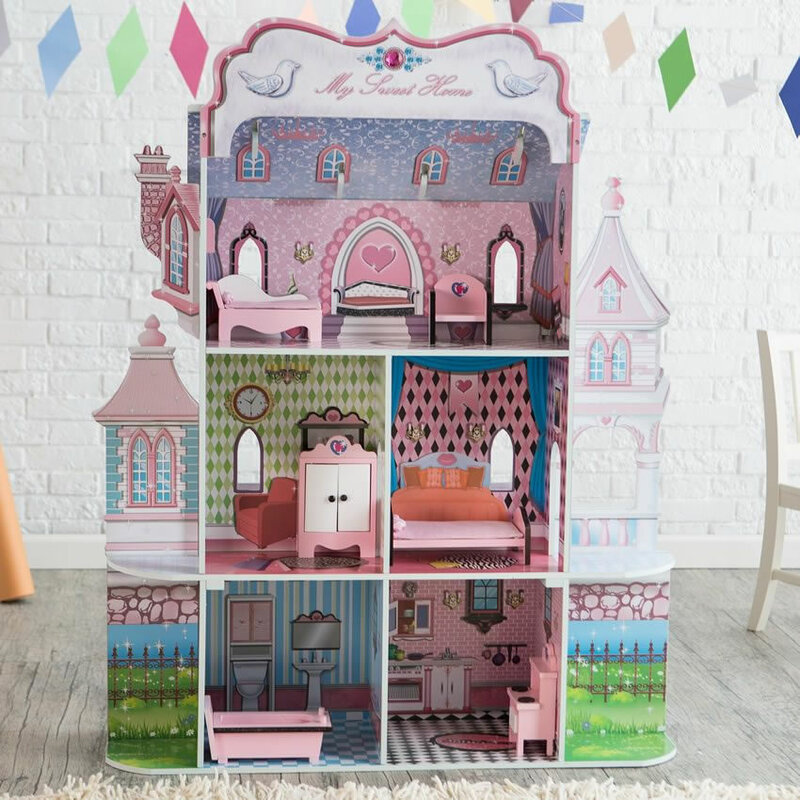 Three story doll house is open faced for an easy and convenient play time, any time. The first floor features a sparkling clean blue and white checkered bathroom with pink and black trimmed tub included. A wall divides the bathroom and makes room for a humble eat in kitchen with pink and white stove. Climbing about to the next floor you will be delighted to find a change of clothes and a way to get organized, when you open the beautiful hand crafted pink and white wardrobe storage unit. Across the hall separated by a wall, is a cozy bedroom that includes black and pink bed. Penthouse level the view is breath taking and the dTcor inside is like no other. Plush and satin pink and black couch and chair line the upstairs, making for a comfortable place to rest as you take in the view. A personalized message lines the exterior of the penthouse that reads: MY SWEET HOME in a classic hand detailed cursive. Created by us just for you, to reflect on your personal taste, and give you a sense of comfort and familiarity that only home can bring. 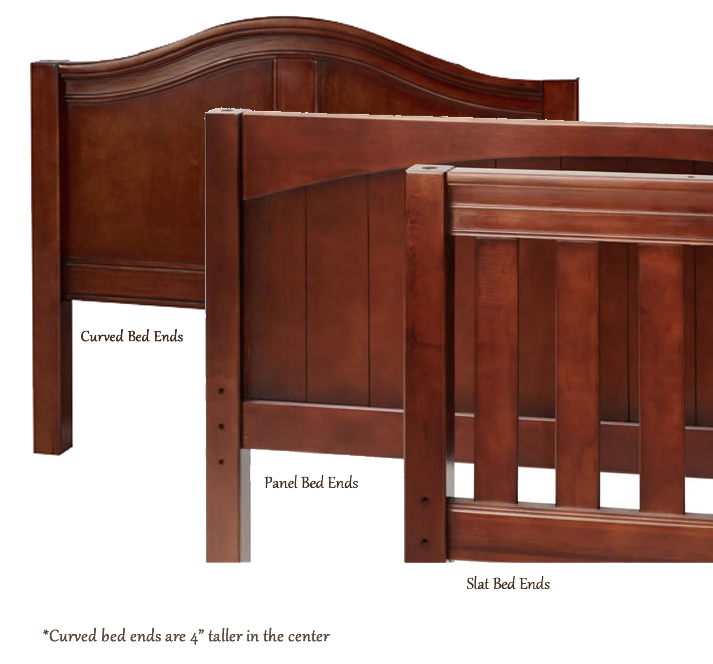 Includes: tub, stove, wardrobe storage unit, bed, chair, and couch. 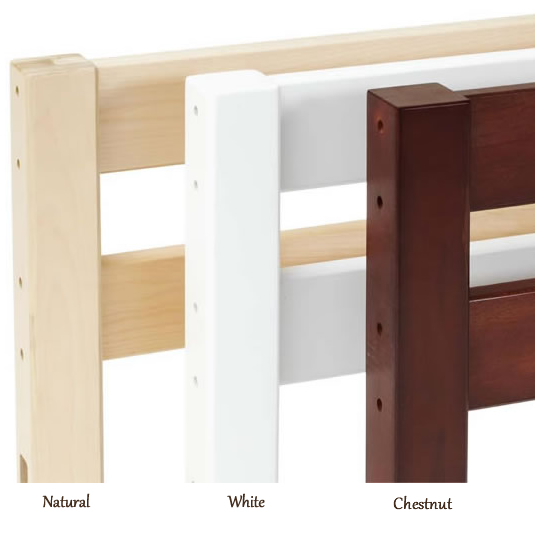 Perfect for ages 3 and up, some assembly required.